A government budget is basically divided in two main sections that are explained in detail below. However, it must be remembered that a budget is mainly based on estimates that are derived through research. On one side are all the revenues that the government is expected to earn in the next twelve months. There are many sources of revenues. Most of government’s revenue comes from taxes of various kinds. The 2012 figures estimate the government to receive $2.45 trillion in tax revenues. 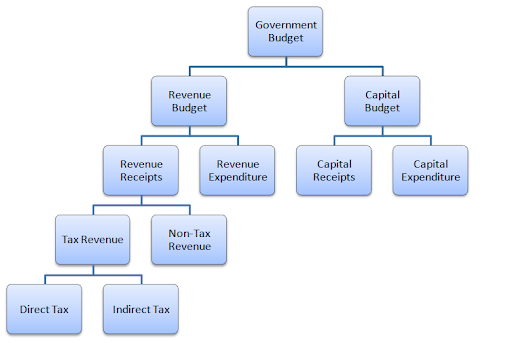 This section may be further divided into different types of taxes including “direct taxes” and “indirect taxes”. Direct taxes are the taxes that have to be paid directly by the person they fall on. Whereas, indirect taxes are the taxes the burden of which can be passed along to others, such as general sales tax, which can be forwarded to customers as high prices. On the other side, there are various other non tax revenues. Government receives interest on loans it has given to institutions. It is counted as revenue and added under this heading. Additionally, revenue earned from selling goods (land etc.) is also counted. In addition to all these, the government also provides various services to different sectors. All the revenues earned through these services are also brought into consideration while preparing a government budget. All the governments try to achieve a surplus budget i.e. : expenditure lower than revenues. However, the US government always has troubles doing so due to its huge expenditure. Some main expenditure categories include. The US has to spend trillions of dollars on defense expenditure, mainly due to the fact that it is not on very friendly terms with a lot of countries and has to fund its armed forces deployed in several nations fighting terrorists. In 2011, around $950 billion were spent in defense expenditure including veteran expenses and Department of Defense. A government budget has a huge impact on the population. The government has to make sure that people receive basic necessities of life, such as food, shelter, and healthcare. A lot of people in the US are deprived of such basic necessities for which the US government has to spend a huge chunk of revenue. In addition to these, there are other categories, such as Social Security, which is an insurance program that is aimed to help old age, disabled and survivors. Natural disasters, mainly hurricanes are common in America. It has to spend a huge amount of money on rebuilding the economy that is destroyed by such natural disasters. In most of the cases, these disasters are unexpected, due to which the budget is not able to take them into consideration and the government has to resort to other means to fulfill the needs. In addition to these there are several other categories, such as (Imports minus Exports, Interest etc).